Having decided to learn to drive some immediate questions hit you. Some you’ll have thought of, others you may not. The following aims to provide a detailed guide to all the areas you need to consider while making this important step towards your travel freedom. Let’s start with the car(s). Which one are you going to use to learn in? Who’s going to teach you? What learner driver insurance do you need? We’ll first address the question about insurance here and the other questions in the sections that follow. There’s one thing you have to carefully consider: learning to drive comes with a large price tag, and one of the most expensive elements of that, after lessons and possible car purchase, will be the cost of learner drivers insurance. That’s because young drivers are more likely to have an accident. Sadly, there’s no escaping it, and it’s required by law to protect both yourself and others before you hit the road. There are lots of factors that you can’t control that will affect your insurance, such as your age and where you live, but there are still steps you can take to manage your insurance premium. Learning through an Approved Driving Instructor (ADI) is an investment, but will ensure you don’t pick up the driving habits of others and any misconceptions they may hold of current driving codes, laws and practices. It also helps avoid fallouts with anyone who might be close to you. The cost of using an ADI may limit the number of lessons you take but, with insurance covered under the terms of your instructor’s policy, you don’t need to make any insurance arrangements of your own whilst learning – unless you choose to mix ADI lessons with some from friends and relatives to contain costs. Finding an ADI, and one that’s right for you, is easy. Start with recommendations. Learning with someone others you know have recently used and feel comfortable sat alongside might provide some useful reassurance and make the whole learning process more enjoyable. But remember, we’re all different and sometimes the chemistry just isn’t there. Start with asking classmates, sixth formers, friends, relatives and neighbours. 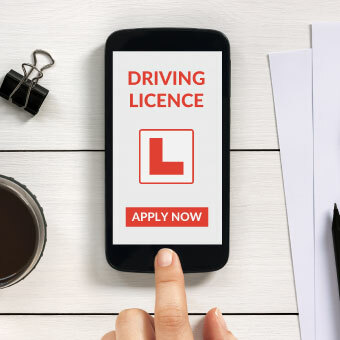 If you’re still stuck, jump online and find your nearest DVSA approved driving instructor by putting your postcode into www.gov.uk/find-driving-schools-and-lessons. Be careful about choosing part qualified instructors (PDI’s) rather than a fully qualified and regulated one (ADI). They might be cheaper but there’s probably a reason why, such as having to have an ADI accompany them whilst teaching. Two might be company but three could be a crowd! In terms of the car you learn in, it’s always best to learn to drive in a manual rather than an automatic car, if you can, as this will enable you to drive (and buy) both manuals and automatics in future rather than limit you to automatics only, unless you re-take your test! Also, don’t rush the learning process. 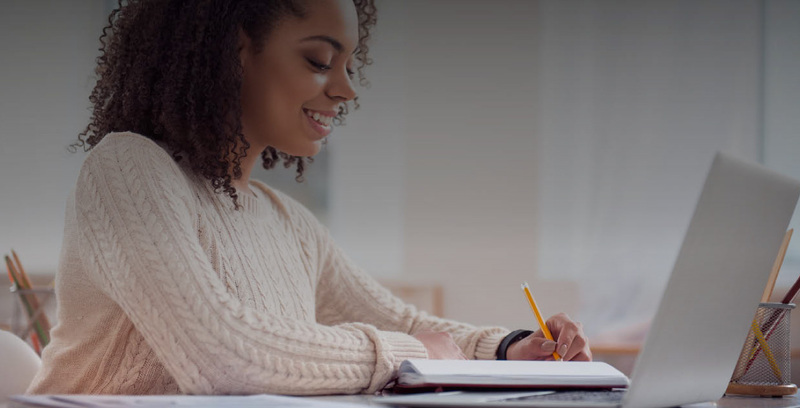 Even though intensive courses are available for those who just have to get through it and get out there, there’s no substitute for experience and they do come at a price. Continuity of car is a nice thing to have as you learn to drive and then build confidence as a newly qualified young driver. Familiarity with the car, its controls, handling and performance are less confusing and distracting than multiple changes of vehicle. This way of learning enables you to have telematics-based insurance and its technology fitted from the outset and the opportunity to use it throughout the learning process and beyond into your formative years as a new driver. 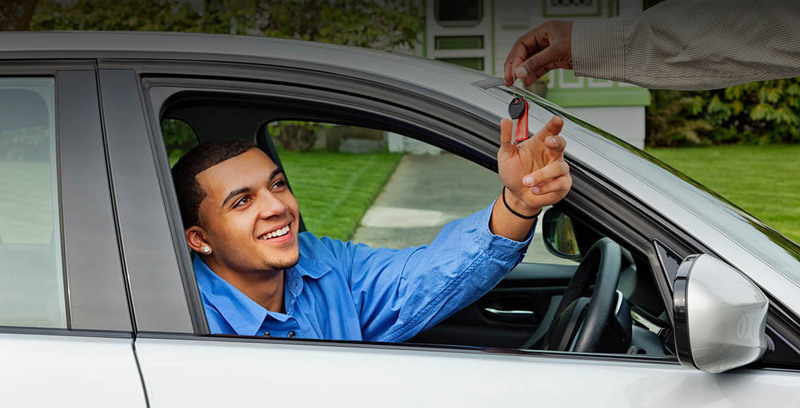 If you choose iKube, it comes with RAC Advance capabilities that will let you and them know if there’s a problem with your car and you need to take appropriate action. What’s more, if you do break down they automatically know where you are and will already be gathering data to help establish what the problem is. If you can show you can drive safe and arrive safe, you’re more likely to avoid the things that inevitably result in expensive insurance costs – accidents – and then you’re a winner. If you feel telematics-based insurance is not for you, however, you need to take the recommendations of others and begin the sometimes painful process of shopping around on comparison sites and negotiating with those providers you think can help you get the right policy at the right price for you. If the car is fitted with a security device and is garaged / parked off road, these are big pluses. Short term temporary cover can be found on a comprehensive basis and can, if necessary, be extended until you pass your test. Once you’ve passed your test however, you’ll need to arrange a normal insurance policy. If you’re going down this route you’d be wise to get a policy in your own name rather than go on their policy as a named driver, as any accident will lose them their no claims bonus unless they take out a separate policy to protect it. For those less concerned with quality than immediate short term cost savings it can work and if it works great. If it gets you through your test first time even better. You can always swap to a telematics based insurance once you’ve passed your test and want to get your own set of wheels. Remember, anyone supervising your learning, whether in your own car or theirs must be 21 and have held a full licence for at least three years. They must, like you, be under the alcohol limit, and they must not use a handheld device whilst supervising and that applies to you whilst driving. Learning through ADI’s is an investment but will ensure you don’t pick up the driving habits of others and any misconceptions they may hold of current driving codes, laws and practices. It also helps avoid fallouts out with anyone who might be close to you. The cost of using an ADI may however limit the number of lessons you take but, with insurance covered under the terms of your instructor’s policy, you don’t need to make any insurance arrangements of your own whilst learning – unless you choose to mix ADI lessons with some from friends and relatives to contain costs. Finding an ADI, and one that’s right for you, is easy. Start with recommendations. Learning with someone others you know have recently used and feel comfortable sat alongside might provide some useful reassurance and make the whole learning process more enjoyable. But remember, we’re all different and it doesn’t always follow. Start with asking classmates, sixth formers, friends, relatives and neighbours. They’re usually a good starting point. Beyond that jump online and find your nearest DVSA approved driving instructor by putting your postcode into www.gov.uk/find-driving-schools-and-lessons. Be careful about choosing part qualified instructors (PDI’s) rather than a fully qualified and regulated one (ADI). They might be cheaper but there’s probably a reason, such as having to have an ADI accompany them whilst teaching. Two might be company but three could be a crowd! In terms of the car you learn in, its always best to learn to drive in a manual rather than an automatic car, if you can, as this will enable you to drive (and buy) both manuals and automatics in future rather than limit you to automatics only, unless you re-take your test! Also don’t rush the learning process. Even though intensive courses are available for those who just have to get through it and get out there, there’s no substitute for experience and they do come at a price. For many people, their 17th birthday is liberation day. For some it’s their 16th. 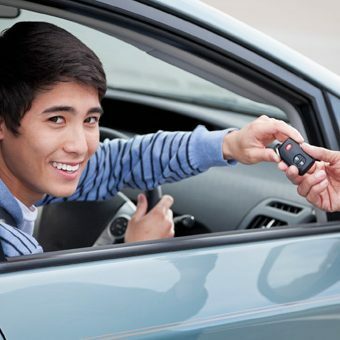 If you’re not yet 17 years of age, the only way you can learn to drive is on private land – your own if you’re lucky – failing that, land used by one of the many young driver schools opening for those under 17 years of age. If you’re entitled to the enhanced rate of the mobility component of the Personal Independence Payment PIP, due to being disabled or suffering from long term ill-health, you can start your driving lessons from your 16th birthday. You can apply for a provisional driving licence up to three months in advance of your birthday, but irrespective of when your provisional arrives, you can’t get behind the wheel of a car on the public highway until your actual birthday. Similarly, if your licence fails to arrive before your birthday you can‘t go on the public highway without it. To apply for your provisional licence, just go online to the official website www.gov.uk/apply-first-provisional-driving-licence (avoiding, if you can, those that want you to charge you for the privilege of doing it for you), or fill in a form D1 at your post Office. Once done it’s valid until you’re 70 years old but then needs renewing every 10 years should you still need it. If you don’t think that things are working between you and your instructor, tell them! Ready to get the brain in gear? When you applied for your provisional licence you’ll have been sent a copy of the current Highway Code. If not you can pick up a copy of the Highway Code from the Safe Driving for Life website, or from most high street and online bookstores. Knowing this intimately is your first challenge in gaining freedom on the open road. You need to have passed this before you can then go onto your practical driving test, and you can’t go solo on the highways until you’ve passed both theory and practical tests. Once you’ve exhausted all the support materials, crammed it all in, asked your teacher or instructor to show how it all relates during your driving lessons, you’re about ready to select your local test centre at www.gov.uk/book-theory-test. Book in for what is a multiple-choice test and definitely not a multiple-guess test. Common sense alone won’t get you through this as the failure rate demonstrates! The Highway Code: Note that Northern Ireland has a separate version, but the one for England, Wales and Scotland is packed with 307 rules covering different road users, driving techniques and sections on signals, signs and road and vehicle markings. Knowing your Traffic Signs: This includes guidance on the signage system, regulatory signs, speed limit signs and all other signs. Driving – the essential skills: or to give it its full title, The Official DVSA Guide to Driving – The Essential Skills. It’s the industry-standard driving manual focused on you, the driver, and it explains how to get the most enjoyment from your driving with the correct attitude, behaviour and skills. It’s written by the Driver and Vehicle Standards Agency, the people who set the driving tests. It’s the moment you’ve been waiting for. Your theory test in the bag, your head busting with theory, you can now focus on your next challenge, your practical driving test. Intuitively you’ll know when you’re ready for your test and your driving instructor or teacher will confirm this. Now it’s about demonstrating that you can safely and competently apply all that you’ve learnt for your theory test, and during all your driving lessons, to a driving test examiner. You’ll meet them for the first time at your test centre on the day of your examination. Post test result and feedback. At the end of your test you’ll know whether you’re one of the 47% of successful applicants who can immediately start driving on the public roads, even though you won’t at this stage have a full UK driving licence. That’s a pleasure still to come. If you’re unsuccessful, you’ll have to wait another 10 working days before you can re-sit your test. After all your lessons and revision give yourself the best chance of success by being prepared for the big day itself. This includes getting some decent sleep the night before, having something to eat beforehand, dressing appropriately, and arriving on time. And if you feel having someone accompany you whilst taking your test will help, such as a parent or friend, make those arrangements well in advance of your test. ■ You don’t arrive on time for your test Be early! ■ You can’t prove that your car is suitably insured Take it! ■ You can’t prove that you’ve passed your theory test Take it! ■ You can’t provide your provisional driving licence Take it! ■ Your vision is impaired Check it! ■ Your car’s condition and safety is inappropriate for the examination Check it! ■ Your car doesn’t display L-plates Check it! The world hasn’t ended! Chin up! With pass rates at 47%, failure is faced by 53% of those who take their test despite being considered ready for it. Console yourself with the fact that you gave it your best shot so don’t beat yourself up and, if you didn’t tell your friends in the first place, who’s to know anyway? The best thing you can do is to learn from your mistakes, take the comments from your examiner and the reasons for failure on board, get back into practice mode and practise, practise, practise! Don’t leave it and lose the momentum. Do it straight away. Keep going. And once you’ve rebuilt your confidence and sharpened your skills or plugged the gaps in your knowledge, re-apply for your test safe in the knowledge that those who pass after their second attempt are generally considered the safest drivers. Remember though, if you’re booking a re-test you’ll need to choose a date at least 10 days after your last test.